We have been providing superior landscape care to meet the needs of the Stanislaus and Merced County areas for over twenty years. We continue to search for valued clients and enjoy exceeding their expectations. 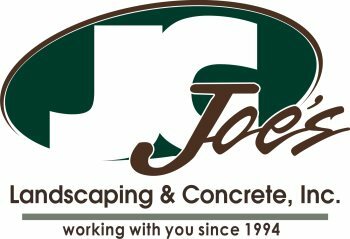 Joe's Landscaping & Concrete, Inc. has always had a mindset of continued customer retention and building long term relationships for all parties. When configuring a plan we pay close attention to affordability as well as a beautifully finished landscape design. Environment conditions, longevity of vegetation, and water conservation are key factors that we keep in mind while we are creating your master piece. We offer a variety of services within your budget. Our knowledgeable staff will help maintain your dream backyard. We believe every project is unique and special; therefore we treat each of them accordingly. Joe's Landscaping & Concrete, Inc. provides complete sod and lawn installation. We provide several types of sod so that we can find just the type of grass for you intended use. We provide all the site preparation and sod installation and can even upgrade your existing sprinklers or install a new sprinkler system to keep your lawn looking good throughout the hot and dry summers.